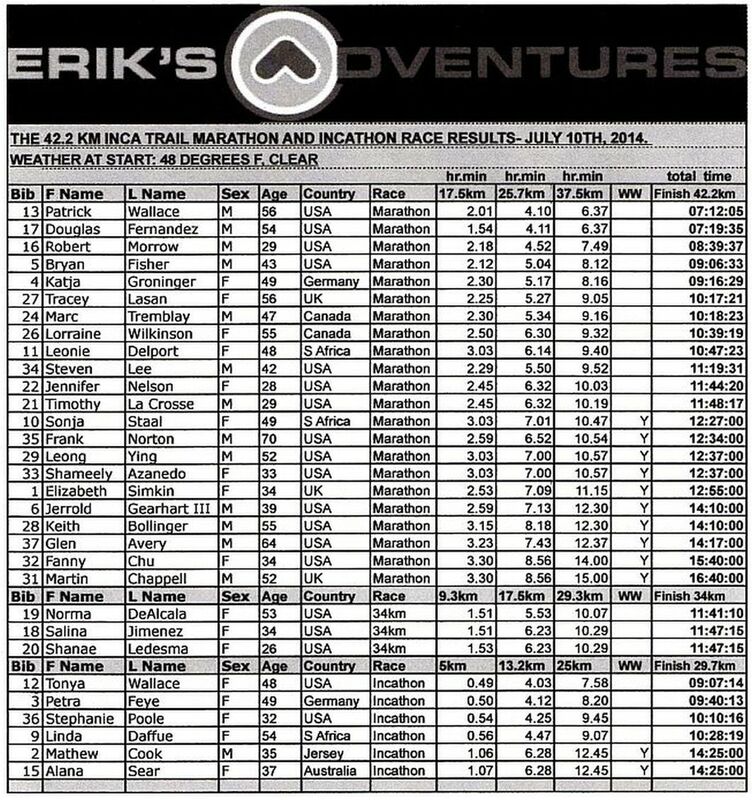 Official 26.2 mile 2014 Inca Trail Marathon Results and Incathon Trail Race Results. Congratulations on a fantastic 2014 running trip and trail races. All runners did a great job and everyone finished at Machu Picchu. In addition, new male and female course records were set by Patrick Wallace with a 07:12:05 and Katja Groninger with a 09:16:29! Special thanks to our great group of spectators for all your support!